RP41591 is rated 4.3 out of 5 by 4. Rated 2 out of 5 by DaisyD from The pull up diverter keep on getting stuck on up position... I bought this set at Home Depot that comes with everything, the whole set looks very nice as an upgrade to replace the original set that came with the house. Everything was working well, until 4 years later when the pull up diverter kept on getting stuck on the up position. No matter how much I try with all my strength, it just won't push down. I have to take it apart and clean it and try to make it loose again, only to have it work for a few days and then it gets stuck again. I have tried to fix it several times and now I have given up. I just called Delta for replacement of the spout...I have to tell you, Delta customer service is unbeatable. They are so nice and professional, also very knowledgeable with their products, parts, and plumbing issues. I'm so happy with Delta customer service, I will always go with them over the other brands. I have 4 bathrooms in my house, I will continue to buy Delta Faucet's products for all my future needs. Thank you, Delta Faucet! Rated 5 out of 5 by Anonymous from Quality Replacement Part This came fast and it was the exact part I needed. There are not many places to find these types of replacement parts and this site is a good source. 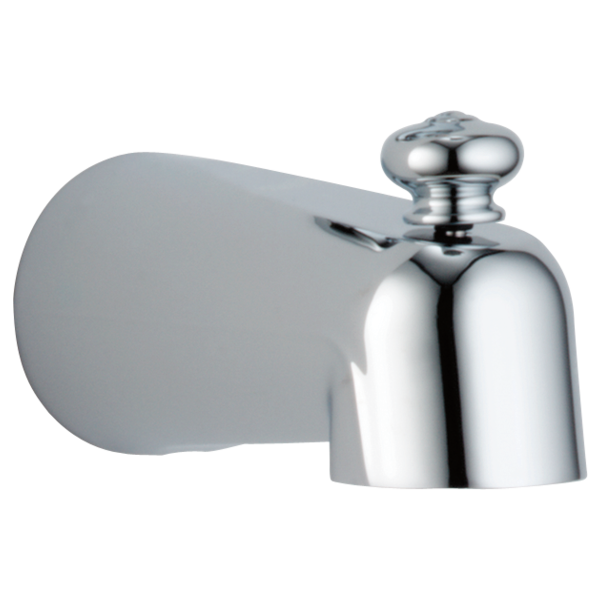 Rated 5 out of 5 by atascfaucet from Easy does it Part was perfect. Arrived on time as promised and was the exact model needed. Rated 5 out of 5 by cricket from Best Purchase Ever Product was beautiful. Delivery was so fast, my plumber said he was going to start ordering from you. I am using this product now . But the faucet diverter pull up is broken . Can I order only the &quot;pull up&quot; from parts ? Purchased this Tub Spout from Delta and was told by Lowe's store person that we could remove the plastic inside part so the spout could be screwed onto the existing tub pipe. Plastic part does not seem to be able to come out. Help please. Thank you for your question. Delta Faucet model # RP41591SS contains a non-removable built-in adapter. We do manufacture other models that have removable adapters.